If your green card was lost or stolen, you’ll need to replace it as soon as possible. Officially known as a Permanent Resident Card, your green card is physical proof of your right to live and work in the United States. In fact, you are legally required to carry proof of your permanent resident status with you if you are age 18 or older. To replace your lost or stolen green card, you will need to file Form I-90, Application to Replace Permanent Resident Card. Did you know 8% of all USCIS applications are rejected? And thousands more get denied. When filing Form I-90 to replace your green card, it’s very important to prepare the application according to the instructions. Errors, omissions and inconsistencies can cause delays. In the worst cases, these mistakes create long-term immigration problems. The application can be downloaded from USCIS, or you can use the services of CitizenPath to help you prepare it. The low-cost service is free to get started. CitizenPath helps you prepare Form I-90 by providing step-by-step instructions that save you time and avoid costly delays. CitizenPath even provides alerts if you answer a question in a way that might be a problem. It only takes about 15 minutes, and you’ll be able to file Form I-90 to replace your lost/stolen green card today. Plus, we guarantee that USCIS will accept your application. We’ll guide you through the I-90 application using simple language and step-by-step instructions. Pay only $87 for preparation services. Once you’re completely satisfied, you’ll be able to print your I-90 and customized filing instructions. What if I need to travel outside the United States? Your green card is an essential identification card for granting you re-entry to the U.S. after traveling abroad. Without it, you could be denied entry. In fact, airlines and ships bound for the U.S. are legally required to obtain proof of your status before allowing you to board. If your green card was lost or stolen, this can be a major problem for your travel plans. First, replace your green card with Form I-90. Approximately 2-3 weeks after filing Form I-90, USCIS will mail you I-797C, Notice of Action. This document is like a receipt letter that proves you started the green card replacement process. Next, make an appointment at your local USCIS office. Plan early — some USCIS offices can be very difficult to get an appointment. Appear at your scheduled appointment with your passport and Notice of Action. Ask for an “I-551” stamp in your passport. This is a temporary stamp that proves you are a permanent resident. 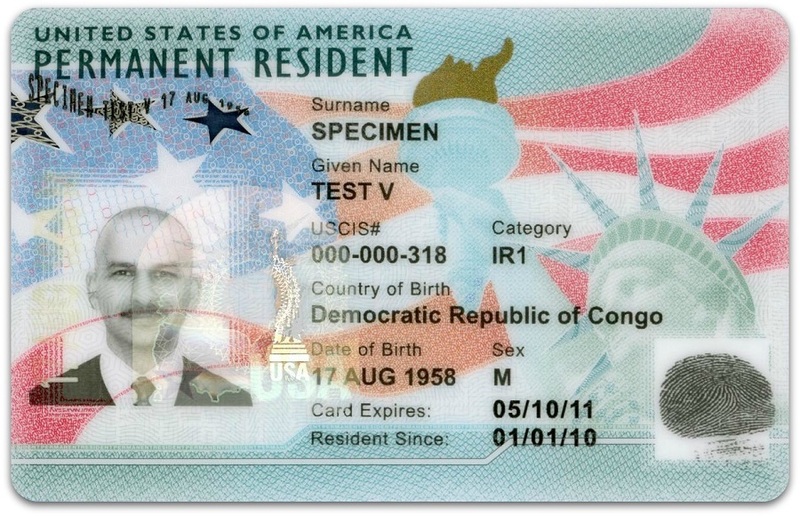 The stamped passport can generally be used in place of the green card while it is still valid. In addition to carrying your stamped passport when traveling, we recommend that you also carry a copy of the Form I-797C, Notice of Action. What if my green card was lost or stolen while outside the United States? If you are outside the United States and your green card has been lost or stolen, you will need to obtain a travel document (carrier documentation) to board a transportation carrier (e.g. airline) bound for the United States. This carrier documentation (boarding foil in your passport or a transportation letter) can be obtained by preparing Form I-131A, Application for Travel Document (Carrier Documentation), and filing it at the nearest U.S. Embassy or Consulate. Learn more about the process by reading Lost Green Card Abroad and Returning to the U.S. Upon returning to the U.S., you will be required to replace your lost or stolen card by using Form I-90, Application to Replace Permanent Resident Card. What if I need to start a new job? A green card serves as proof of your right to work in the United States. If your green card was lost or stolen, you have no proof of employment authorization and your potential employer has the right to refuse to higher you. The employer has no obligation to higher you, but they may be willing to accommodate your situation. For example, if you have a photocopy of your lost/stolen green card, see if the employer will accept it until you get the new one. Or, offer the I-797C Notice of Action as proof that you are replacing your work permit. The Notice of Action is a receipt letter than you’ll receive approximately two weeks after filing Form I-90. Should I tell my current employer that my green card was lost? No. Unless they ask, there is no reason to inform your employer that your green card was lost or stolen. However, if they ask you to provide proof of your employment authorization again, you will need to provide your green card. Likewise, you’ll need to show your green card if you suddenly need to start a new job. How much does it cost to replace a green card? When filing Form I-90 to replace a lost green card, you’ll need to pay a USCIS filing fee of $455 plus a biometrics fee of $85. The total USCIS fees are currently $540. How long will it take to get a new green card? The process to replace a lost/stolen green card generally takes 8-10 months but can be longer. Processing times vary based on the workload at each USCIS location and your particular case. You can check USCIS Processing Times. If you are traveling abroad, starting a new job or even renewing a driver’s license, this can be a big problem. If you have a valid, unexpired passport from your home country, there may be a solution. Should I report a lost/stolen green card to the police? Yes. It’s worthwhile to contact your local police department to file a report. This police report will serve as an important record if someone attempts to fraudulently use it for green card identity theft in the future. Include the police report when filing Form I-90. What do I need to submit with Form I-90? The documents that you submit with Form I-90 vary based on your answers in the Form I-90 application. Generally, most people will need to submit the USCIS filing fee and a copy of a government-issued ID. If you were smart enough to keep a copy of your green card, use this for your government-issued ID. Examples of other government-issued ID that are acceptable include a driver’s license, passport or U.S. military ID. Specific details about required documentation will be printed on your personalized instructions once you complete Form I-90 through CitizenPath. Get started. What if I am a conditional resident and my green card was lost? If you are a conditional permanent resident through marriage to a U.S. citizen, don’t try to replace your green card if it expires within the next six months. Instead, file Form I-751, Petition to Remove Conditions on Residence, in the 90-day period before your card expires. My Social Security card was also lost or stolen. How can I get it replaced? CitizenPath can’t help you replace a Social Security card. But replacing a Social Security card is relatively simple, and it’s free. To learn more go to www.ssa.gov. 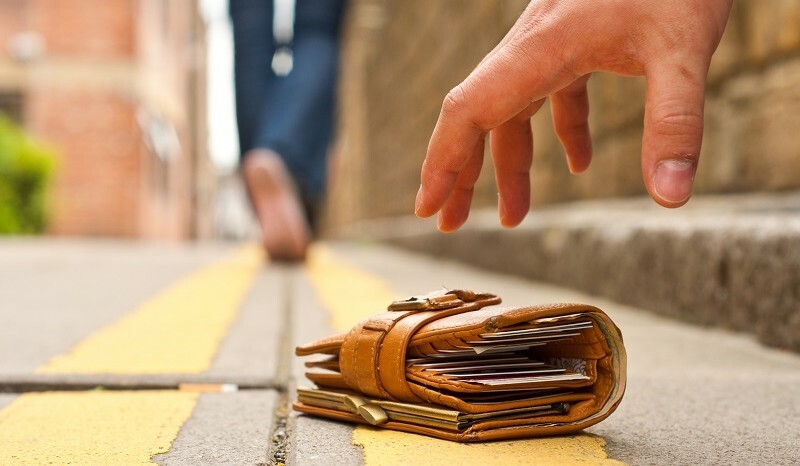 Tip: There’s no need to carry your Social Security card in your wallet. Instead, keep it at home in a safe place.